Contest: Concert Photo Contest - First Winner! Well even though we only had one person enter so far, he submitted 5 photos and they will be tough to beat. 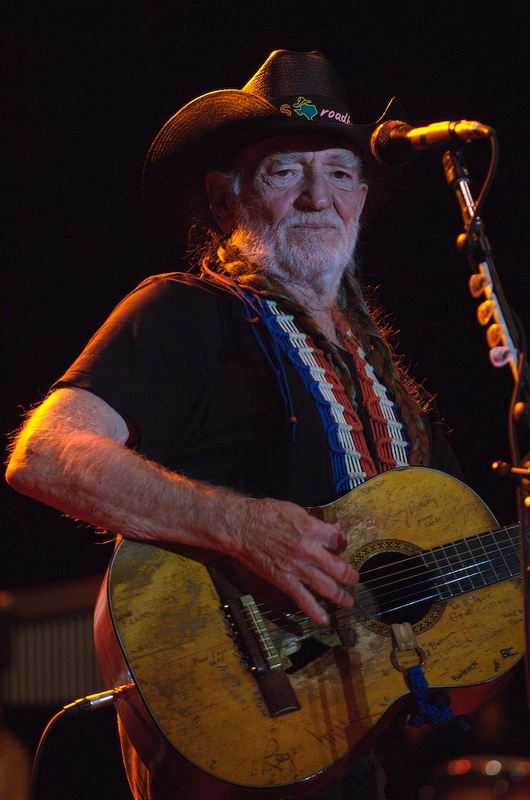 We did not limit this contest to amateur photographers because we wanted everyone to participate, and our first weekly winner is Tom Zinn from Austin, Texas a commercial photographer who worked at ACL Fest and has provided us with a couple snaps of Tom Petty and some stunning shots of Willie Nelson. This picture is this weeks winner so Tom gets himself a brand new club.kingsnake T-Shirt and is now entered in the contest to win that Nikon D80 for Christmas. Thanks for entering the contest and sharing these great pictures Tom.